VIDEO for EVERY TUTORIAL, 40+ VST/AU plugins for FREE, 2500 samples and more, with Vault download for all editions. Discover the unusual tricks and techniques that all add up to simply incredible mixes! Go beyond conventional mixing wisdom as professional mix engineer and long-time CM contributor Owen Palmer reveals his methods for giving your mixdowns that dazzling professional finish. And there's video for EVERY walkthrough! • VIP Series - Maison Sky: A pack of finely crafted house and techno samples from West London duo Maison Sky is all yours, entirely free with CM210. There's over 250 one-shot drum hits, a stash of TR-808 bass loops, FX sweeps and textures, smooth pads, characterful stabs, and loads more - in short, everything you need to make top-class house and techno tunes. •Bonus DnB samples: More than 2000 samples - over 1.5 GB! - of blistering DnB beats, basses, pads, FX and more. • Ten tricks you can learn today for pumping personality into your patches and dialling in intricate movement using LFOs - all with video, of course!In this taster video, we demonstrate how to create gnarly FM-style effects using audio rate LFOs - for the other nine techniques, get Computer Music 210. • Matthew Koma: Get up close and personal with the crowd-pleasing US EDM producer. 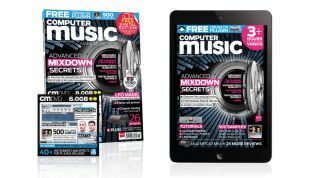 • Every issue of Computer Music comes with CM Plugins, an exclusive collection of pro-quality VST/AU instruments and effects for PC and Mac. Check out our full CM Plugins listand the CM Plugins FAQfor more info.